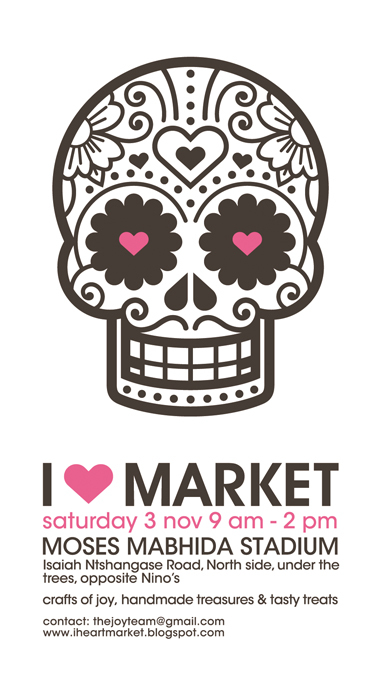 Don't you just love the poster for this month's I Heart Market? The very talented DominicStrauss designed it. We are very proud to say that our fabulous ONCE logo was also designed by Dom. 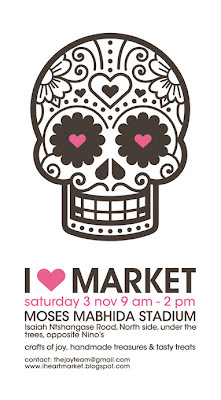 I hope there will be lots of Day of the Dead goodies on sale this Saturday.